Gobbledygeek episode 314, “Wonder Woman: Amazon Prime (feat. Hallie Prime),” is available for listening or download right here and on iTunes here. 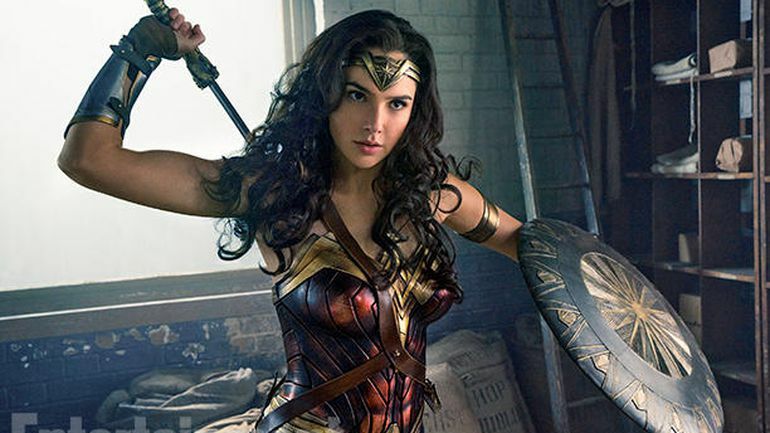 This week, the lasso of truth compels Paul and Arlo to tell you all about their thoughts on Patty Jenkins’ Wonder Woman, the fourth film in the DC Extended Universe and the first major female-led superhero movie since freaking Elektra. Joining them on this Themysciran horseback ride is friend of the show Hallie Prime. The gang discusses Gal Gadot’s note-perfect performance, Chris Pine’s frighteningly large eyebrows, whether or not the film’s villains live up to its hero, and if there’s still hope for the DCEU yet. Plus, Arlo gets all evangelical about The Leftovers. Next: after a week off, Paul and Arlo will take a look at The Assassination of Jesse James by the Coward Robert Ford ten years on. Gobbledygeek episode 311, “Guardians of the Galaxy Vol. 2: Those Who Dance, and Those Who Do Not,” is available for listening or download right here and on iTunes here. Family is family, no matter how much they might piss you off. It’s fitting that while the ragtag band of losers at the heart of Guardians of the Galaxy Vol. 2 learn this lesson, Paul and Arlo are relearning it. That’s right, kids, the boys’ miraculous and unprecedented string of agreements is over: Paul is tail over paws in love with Vol. 2, while Arlo rides the good ship Kelly McGillis into a sea of disappointment. Are the film’s various character pairings emotionally satisfying? Does Vol. 2 merely rehash everything you loved about the first? Is Michael Rooker a goddamn gift to humanity/Centauriankind? Plus, Paul mind-melds with Sense8 season 2, and Arlo wants to believe with The Leftovers season 3. Next: after a week off, Ensley F. Guffey will join the boys for the next installment in their (woefully unappreciated) Four-Color Flashback exploring Brian K. Vaughan and Pia Guerra’s Y: The Last Man. This time, they’ll slip on the Ring of Truth for Y: The Last Man – Vol. 5.